Now I have a MP4 video which is about one hour long and I am trying to trim it to 10 minute long for accomplishing my video project. I have searched for many kinds of programs on the internet and tried them. But very unluckily, some of them don’t work well and some even make the sound of my video ruined. I even try to use them to convert it to AVI and then trim it, but they still don’t work. I really need a good and useful MP4 trimmer. I would like to pay for it but preferably I want to try the free version at first because I have come across so many problems. Thanks a lot for any of your kind ideas! Actually, if you have found the right tool, you can finish your task very easily. There are many kinds of free and paid video editing or converting programs which are able to trim files with original quality. You can use them to trim one hour long video to precisely 10 minute, 20 minute or any other length by setting starting and ending time. Here I am willing to share the top 10 great programs with you. Video Grabber is a very popular free online service which allows you to convert any video or audio between different formats. It also provides you many video editing functions such as trimming, cropping, rotating, flipping video and adjusting speed, volume, effects of video. Moreover, you can use it to grab videos from YouTube, Dailymotion. Vimeo, etc and record all activities with sound on your computer. To trim MP4 via it, all you need to do is to install the launcher on your PC, load your file, set the trimming time and then save the file. It’s super easy and fast! 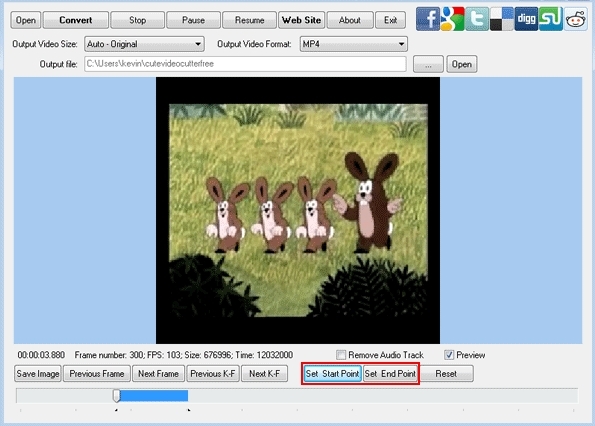 Cute Video Cutter can help you cut large video files into small parts. It enables you to output video in many formats including 3GP, AVI, FLV, iPod, MOV, MKV, MP4, WEBM, WMV, SWF, RM10, RM20, PSP, etc. To use this MP4 video trimmer to cut file, you may use the slider to set the region. If you want to trim file very exactly, click the buttons of “Previous Frame” and “Next Frame” to locate the start or end point. Before outputting the trimmed file, you can check “Preview” button to play it. 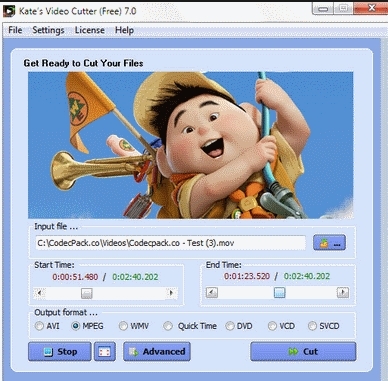 Free Video Cutter is a basic video trimming tool which supports a wide range of video formats. You can set the trimming time by using its drag-and-drop function. After marking the start and end points well, it will display the duration on the interface. Easy Video Splitter supports splitting video files in these formats: MPEG, WMV, AVI, ASF, and DIVX. It allows you to trim files automatically by limiting the size, time and number of segments. Or you can trim MP4 file by setting the start and end points manually through sliding the arrows on its left pane. 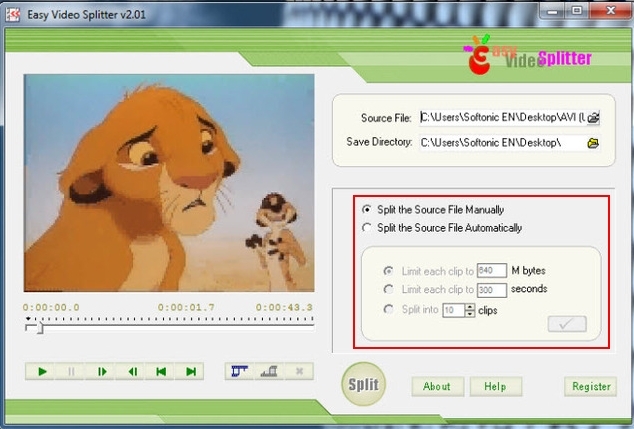 Kate’s Video Splitter which is a very easy-to-use program can help you extract any clip from your video. According to your need, you are allowed to output video in the same or different video formats. It supports a lot of formats including MP4, MPEG-1/2, AVI, WMV, SVCD, DVD, 3GP, MOV, DIVX and more. 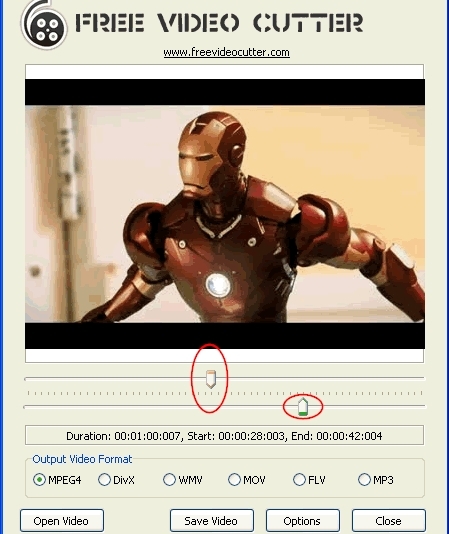 Free Video Cutter Expert lets you trim video to small segments with millisecond precision. It is a very nice tool for you to remove trailers or advertisements from your video. Like the other programs shared here, it also supports many kinds of video formats. During the process of cutting, you can choose to pause or resume it. Avidemux, which is a video editor, is designed for you to finish trimming, filtering and encoding tasks. 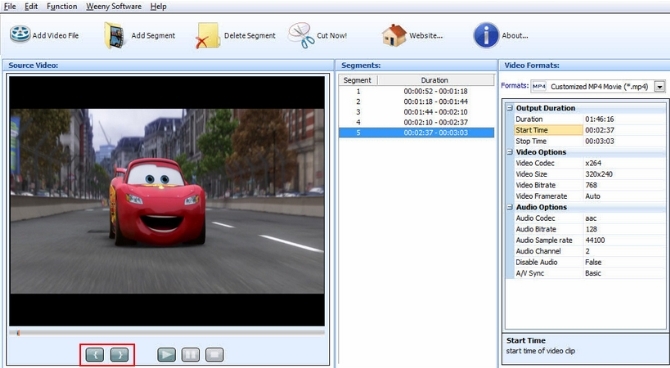 It offers you many useful options for trimming files in MP4, MPG, FLV, MOV and many more. 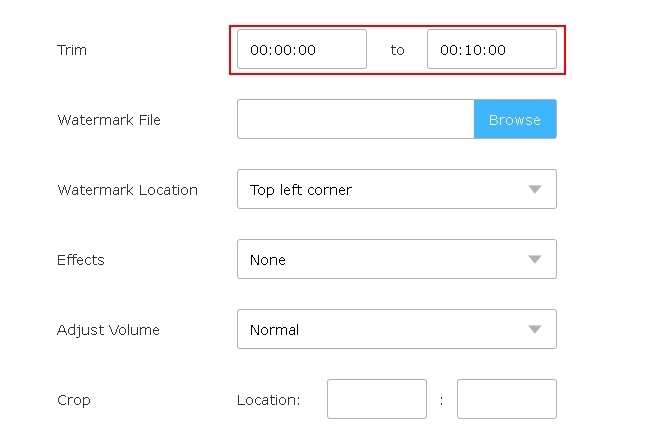 To solve the problem of how to trim a MP4 file via it, just go to install it on your computer, select your file, set the time of selection and save the clip directly. Video Toolbox is a free online video editing tool which requires you to sign up before using it. It can detect your video information including resolution, codec, frame rate, bitrate, etc. With it, you can trim, crop, merge video files, add watermark to video, take snapshots, add subtitle, record video and do many other video editing jobs. Using this simple MP4 trimmer, you have the ability to trim any unwanted trailer or parts from your video. It supports many video formats like VCD, SVCD, DVD, WMV, MOV, AVI, 3GP, MPEG, MP4, animated GIF and so on. 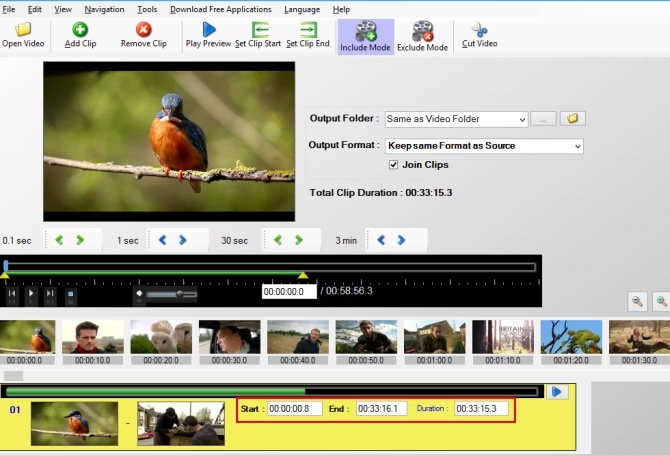 Weeny Free Video Cutter facilitates you to trim a large video into small pieces. You can use it to cut the commercials parts from your videos in the following formats: MPG, MP4, 3GP, AVI, FLV, RM, VOB, ASF, WMV, etc. Before saving the trimmed file, you can adjust video size, codec, bitrate and frame rate. Above are the most popular and easy-to-use MP4 video trimmers among millions of ones published on the internet. You can choose any one from them to finish your tasks. However, Video Grabber will be your first-choice because of its modern interface, high quality output, fast speed and powerful functions.